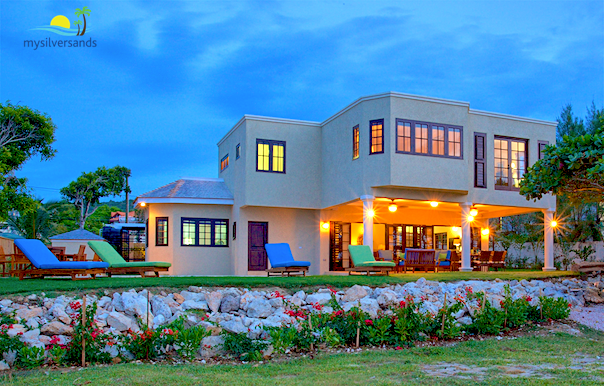 Image 1 of 14: Mai Tai Villa is on the Caribbean Sea. 2 of 14: Comfortable seating on the verandah, poolside. 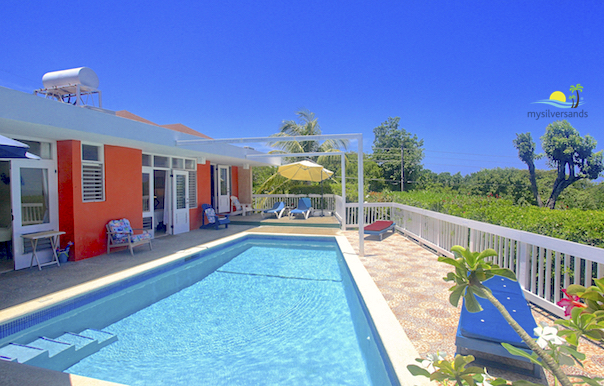 3 of 14: Enjoy the sunny pool deck or retreat to the shade of the Verandah. 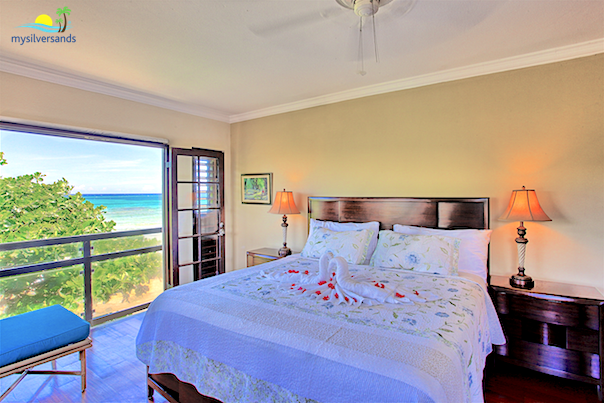 5 of 14: Bedroom Two with sea view. 6 of 14: Bedroom features a sunny den. 7 of 14: Bedroom 4 features a sunny patio. 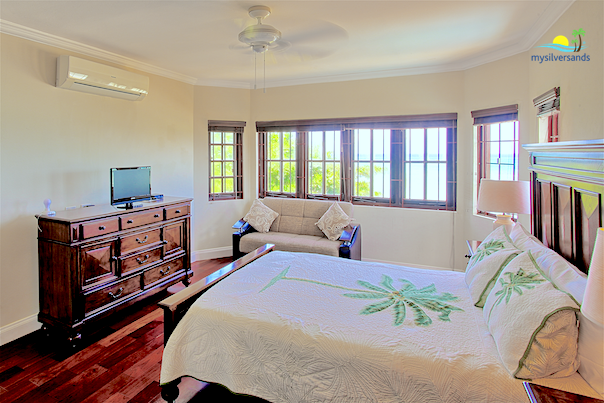 8 of 14: The Living Room benefits from the sea breeze and land breeze with excellent cross-ventilation. And very comfortable seating when watching cable television. 9 of 14: Outdoor dining on the Verandah. 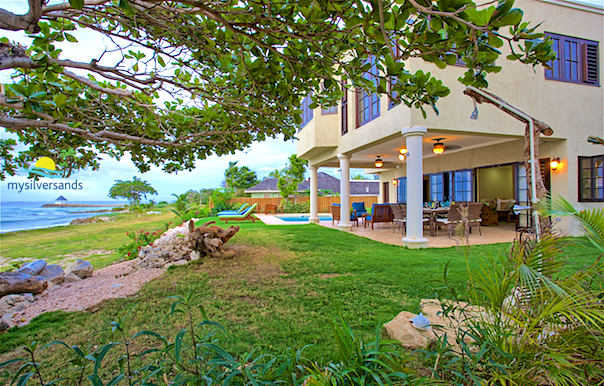 10 of 14: Mai Tai Villa with private pool. 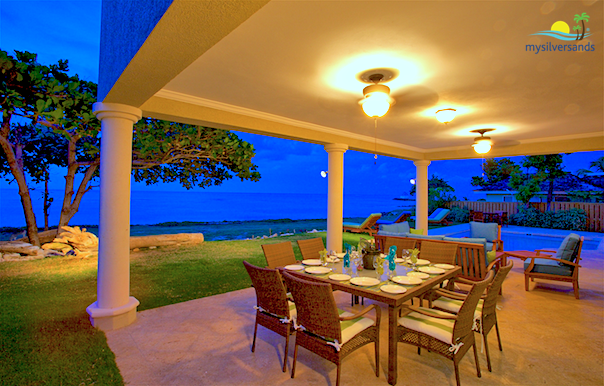 11 of 14: Enjoy the cool breeze and sea view while dining on the Verandah. 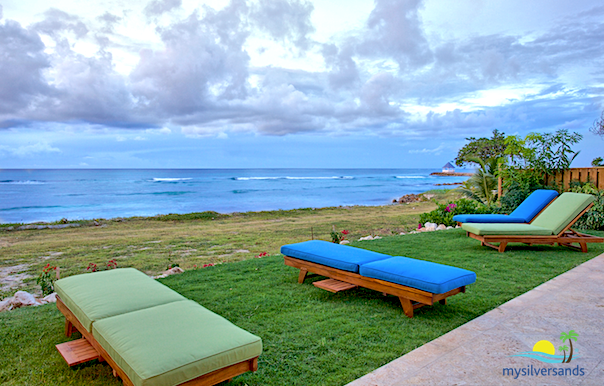 12 of 14: Relax on the lounge chairs by the sea. 13 of 14: Mai Tai Villa from the seafront. 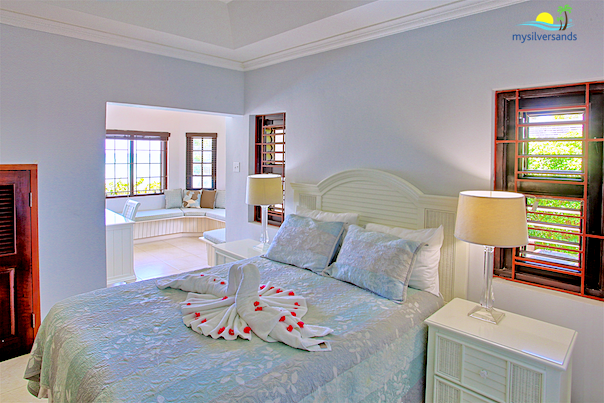 14 of 14: All bedrooms are serviced by luxurious en suite bathrooms. This is Bathroom 3. 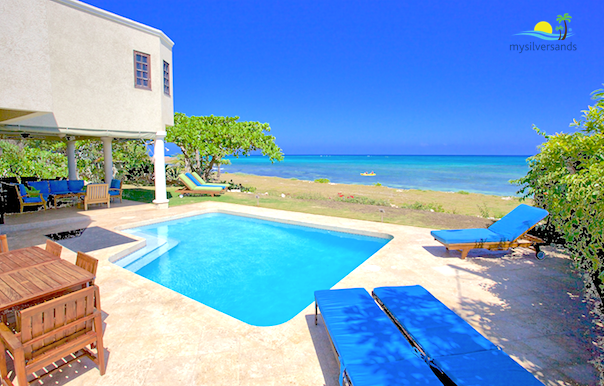 Mai Tai Villa is a four bedroom, four and a half bathroom vacation villa with private pool situated on the seafront at Silver Sands Jamaica. An expansive covered patio makes outdoor dining with the backdrop of the Caribbean Sea a picture postcard event at every meal. 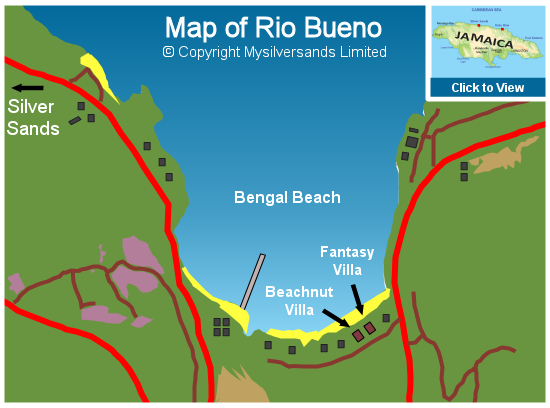 There's a sunny pool deck and shaded lounge area less than fifty yards from the sea. 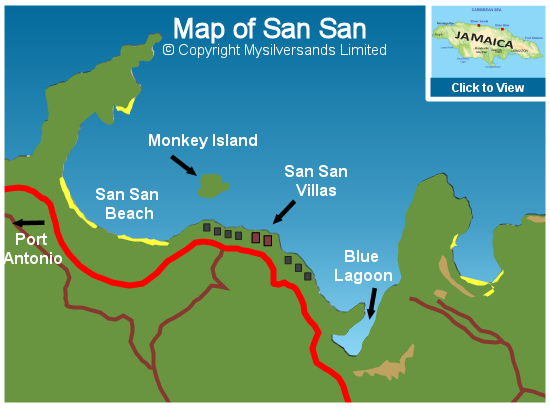 The Silver Sands swimming beach is only a few minutes walk down the coast. 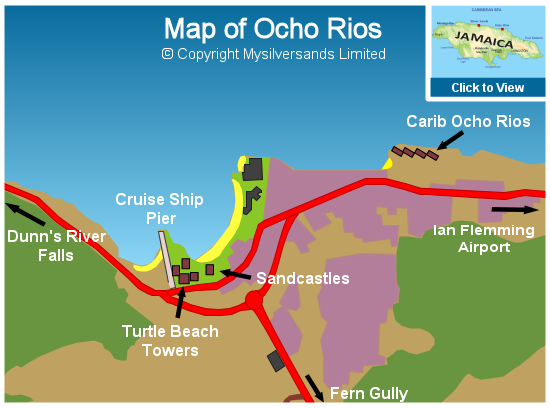 Situated less than 50 yards from the Caribbean Sea. 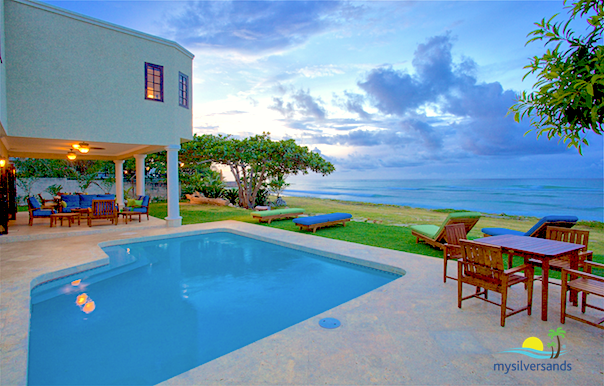 Private pool on the seafront. 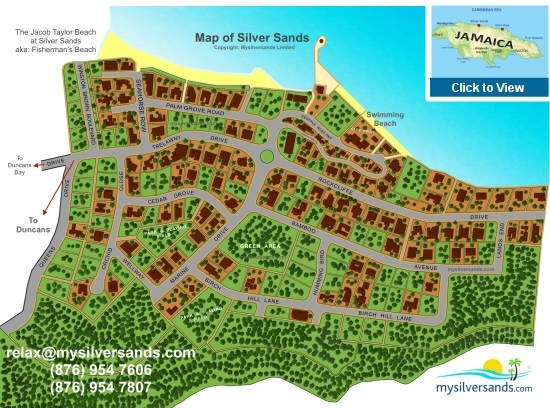 Short walk to the Silver Sands swimming beach, patio and social centre of Silver Sands. 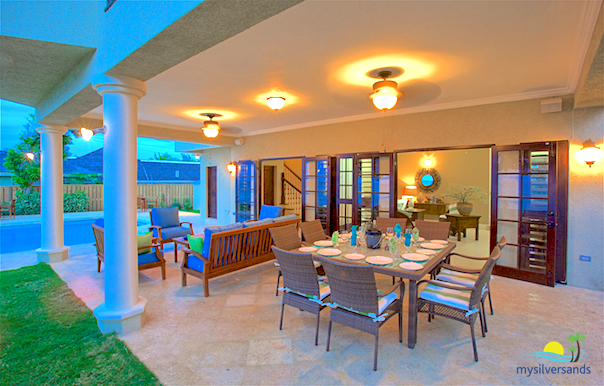 Spacious outdoor areas - covered patio and pool deck on the seafront. Outdoor dining on the patio. 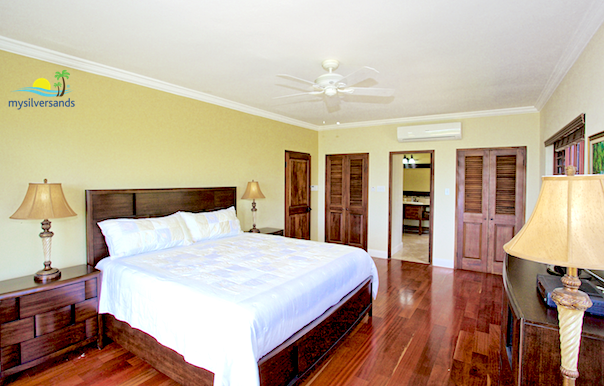 Two bedrooms on the upper level and two bedrooms on the lower level. 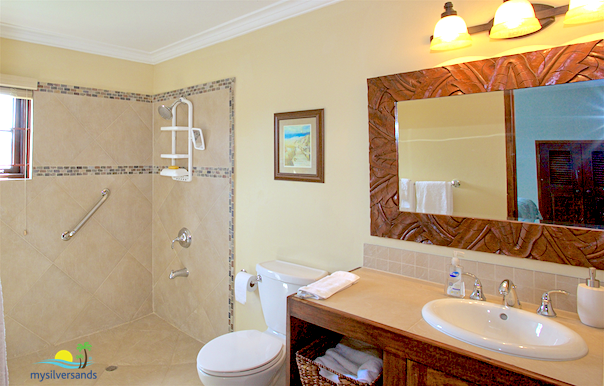 Large master bedroom suite, with spacious bathroom en suite, featuring double basins, bidet, a whirlpool tub, and separate shower which is open to the sky. Equipped with cable television (reception not guaranteed) in the living room and all bedrooms, stereo system, copier/fax/scanner. Fully equipped bright and roomy kitchen. Houseman and Cook live on the property in staff quarters. There is also a housekeeper daily. 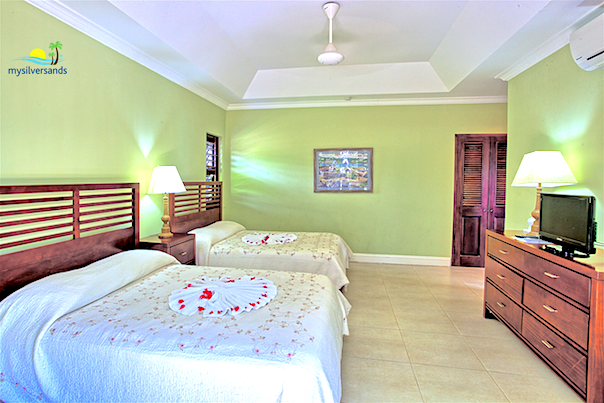 Child-friendly villa with crib, pack 'n play and high chair available. 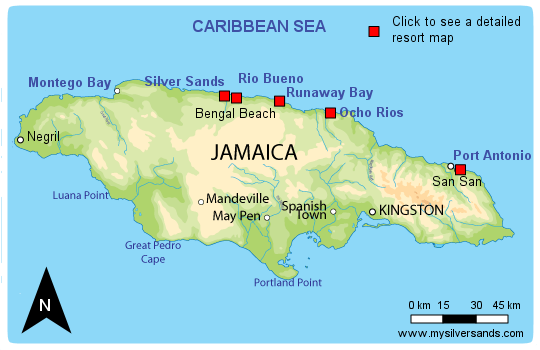 More About Mai Tai Villa in Silver Sands Jamaica. 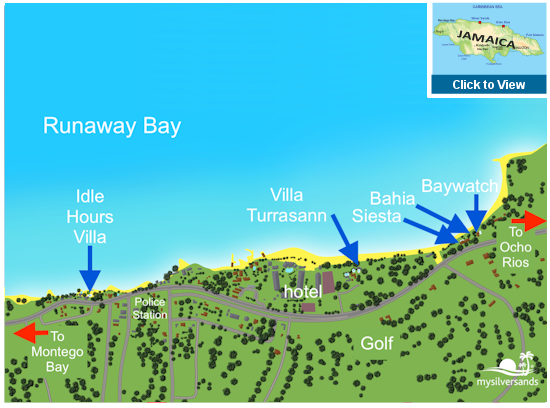 Mai Tai Villa costs from $715.00 to $957.00 per night.